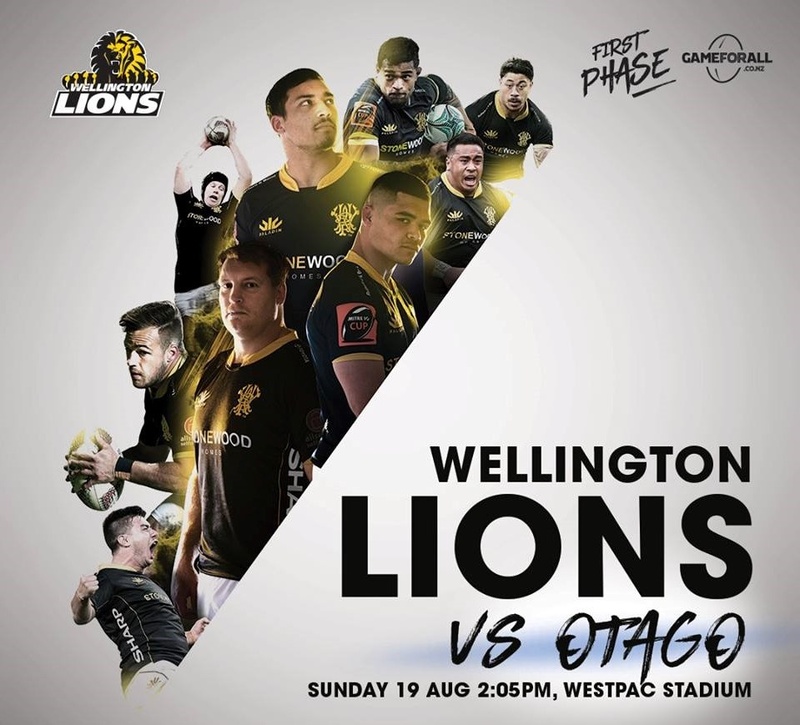 Sharp joins the Lions’ family of sponsors as business technology sponsor and the Sharp logo will appear proudly on the side of the Lions’ jersey, from this weekend’s game against Otago at Westpac Stadium. Marcellus Ramakers, National Marketing Manager Sharp, says that the company is excited to be supporting the Lions as the team kicks off its 2018 season. “We’re really proud to be on the side of the Lions for this season. They’re a high performing team and know what it takes to win. Aspiring to excellence, innovating and working brilliantly together as a team are values that we share. “We can’t wait to see the Lions in action and to host some of our customers and our own team at home games. This sponsorship investment is a good fit for Sharp and we’re looking forward to working with Wellington Rugby and the Lions,” says Ramakers. Wellington Rugby acting chief executive Matt Evans was delighted to welcome Sharp to the team as the Lions prepare for what promises to be an exciting Mitre 10 Cup season ahead. “We see a lot of benefits from the partnership and Sharp’s cutting-edge technology will certainly help with the side’s campaign,” he said. Andy Parry, Lower North Island Regional Manager Sharp, says that the Lions will benefit from the latest Sharp technology as part of the sponsorship. “Just like the right kit and equipment helps players on the field, Sharp’s top technology will help Wellington Rugby off the field. Our interactive whiteboards have the capability to make team strategy and set play sessions more engaging and collaborative. “These products are game-changers in more traditional business settings and I’ve no doubt they’ll have a big impact at Wellington Rugby,” says Parry.